Did you know that there are breweries in Missouri that aren't named Anheuser-Busch? YOU DIDN'T? For shame. There are plenty of other, actually good breweries in the state, one of which is O'Fallon Brewery in O'Fallon, MO. 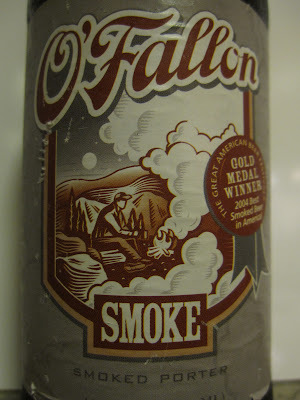 Recently I was able to try my first of their brews, the O'Fallon "Smoke" Smoked Porter. As you can see above, it pours an opaque, near-black with a bit of head that just barely lingers around the meniscus. The aroma offers a dose of campfire, bitter chocolate and raisins. Campfire alone is enough to draw me in, but the chocolate is inviting as well. The taste is greatly chocolatey with notes of toffee with a back-end of the aforementioned smokey campfire, but not overwhelmingly so. This beer is medium bodied, definitely porter-like and has a silky texture. Overall, I found this to be a fantastic beer. 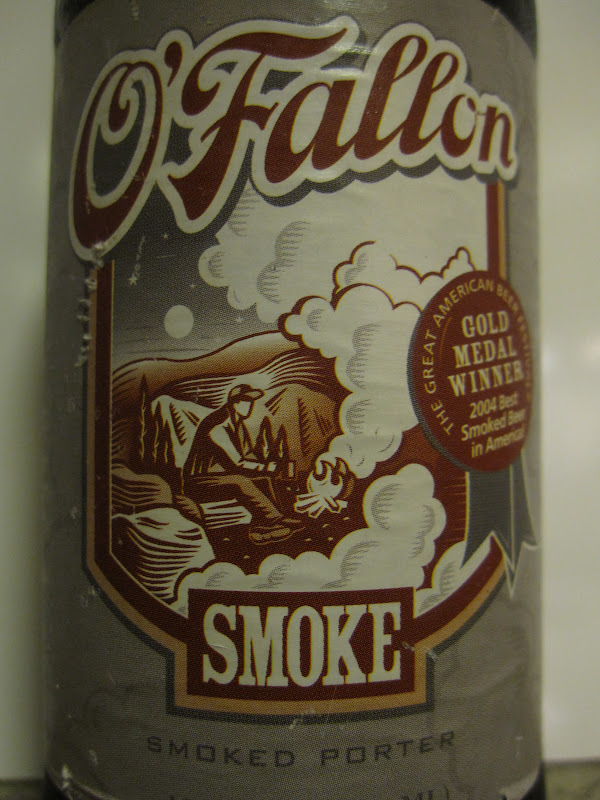 I'll admit that for a beer called "Smoke" I expected more of just that, BUT that doesn't matter because its complexity is incredibly interesting. I wish I could get more, but alas...no distribution in NY/NJ.....yet! In the last year and a half or so, I've attempted to change my eating habits to that of an "organic when possible" philosophy. Granted, its near impossible to eat 100% organic, but it feels good to try. Plus, a good majority of the time it tastes better! One thing that I haven't been able to go organic with is beer. Yes, there are some great organic brands out there. Wolaver's and Peak Organic are fine examples of organic brews, but they are quite limited and sometimes hard to find. That's where craft brewing giant Sierra Nevada comes in. Its no secret that Sierra Nevada is a successful company. It was one of the pioneers of the craft movement and nowadays many bars carry (at the very least) the staple Sierra Nevada Pale Ale. But when the brewery located in Chico, California, began growing its own grains and hops on its land, it was a no-brainer to attempt to make the first ever fully sustainable organic ale. And it works...well. Sierra Nevada Estate is a Wet-Hop Ale weighing in at 6.7% ABV. It was purchased from Whole Foods Bowery Beer Room for a reasonable $9.99. In the interest of full disclosure, I must admit that adding a green wax to the top of the bottle is alluring in and of itself (and is reminiscent of this year's incarnation of Three Floyds Dark Lord). It pours a very clear copper color with about 2 fingers worth of head that lingers around quite a bit. Once you get your nose into the glass you'll notice malty sweetness and a grapefruit citrus aroma. This one drinks bitter, but not overly hoppy. I'd almost like to see a little more in the way of hoppyness here as there isn't as much citrus in the taste as there is the aroma. Overall, this beer reminds me a bit of a less-hoppy version of another Sierra Nevada brew: Torpedo. But you can purchase this and feel good about yourself for choosing something sustainable and organic yet also very tasty. This beer is produced by Old Dominion Brewing Company, which was sold in March 2007 to Coastal Brewing Company, which is 49% owned by Anheuser Busch, which is now a part of AB-InBev. 51% of Coastal Brewing is owned by Fordham Brewing Company. That's pretty straightforward right? Right. 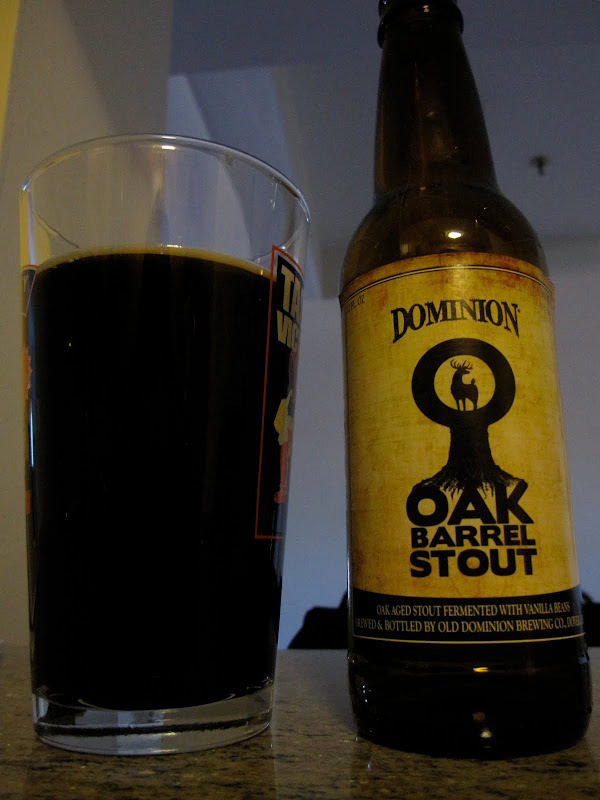 Despite all of that, Old Dominion still seems to be able to produce some pretty interesting beer. You don't often see barrel-aged beers weigh in at 5.2%, which is appealing to me because most of the time any beers of this style are 9% or upwards and obviously not very sessionable. It pours a dark black with a tan foamy head that recedes quickly leaving only some minor lacing. Sticking your nose into the glass you get an almost overwhelming vanilla smell with some slight oak/woody-ness. When it first hits your palate, you notice how smooth it is. Almost porter-like in its smoothness. Its heavy on the vanilla at first, but the oak does its part to balance it out. I detected a slight off/metallic flavor, but I was quickly distracted by notes of raisin, chocolate and some coffee. Some may think this beer is a watered-down version of what has become the standard for oak-aged stouts, but I welcome its uniqueness. If nothing else, its a great beer to introduce someone not used to the bigger, stronger stouts.